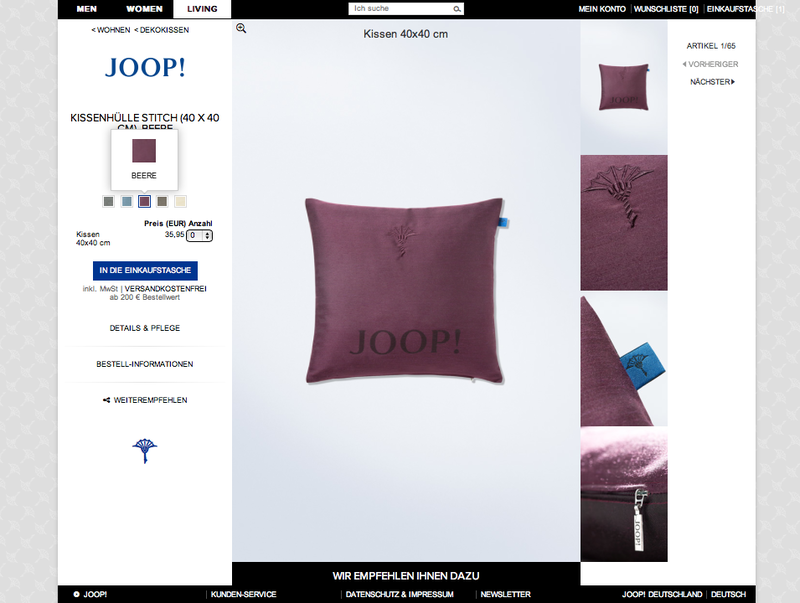 We just saw that JOOP! 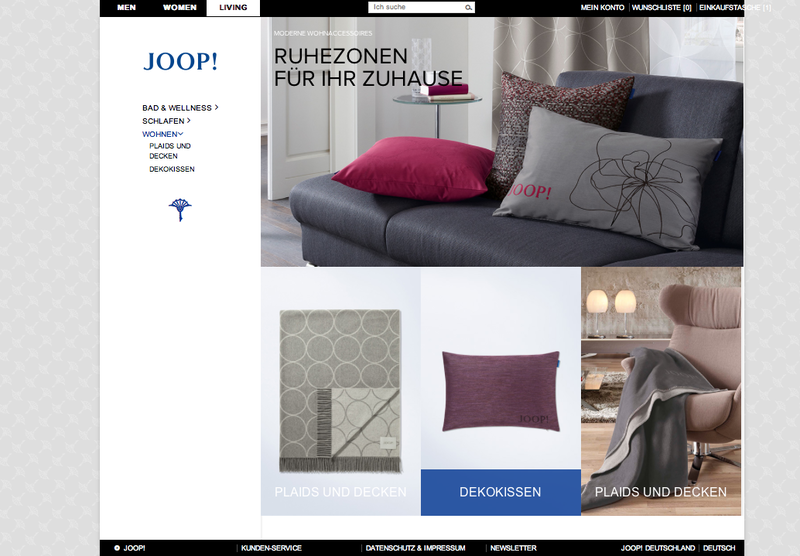 LIVING has been given a dedicated section in the JOOP! online shop. 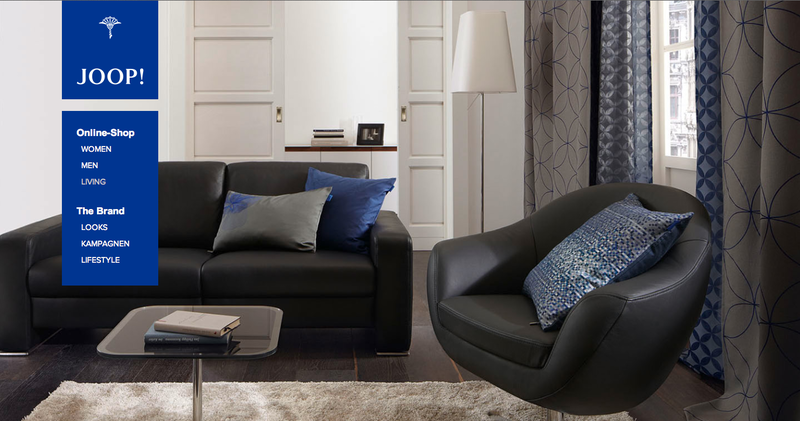 The overall look is very attractive and the functionality is great as well. There are nice detail shots of all items and a simple way to switch colours for the chosen item. 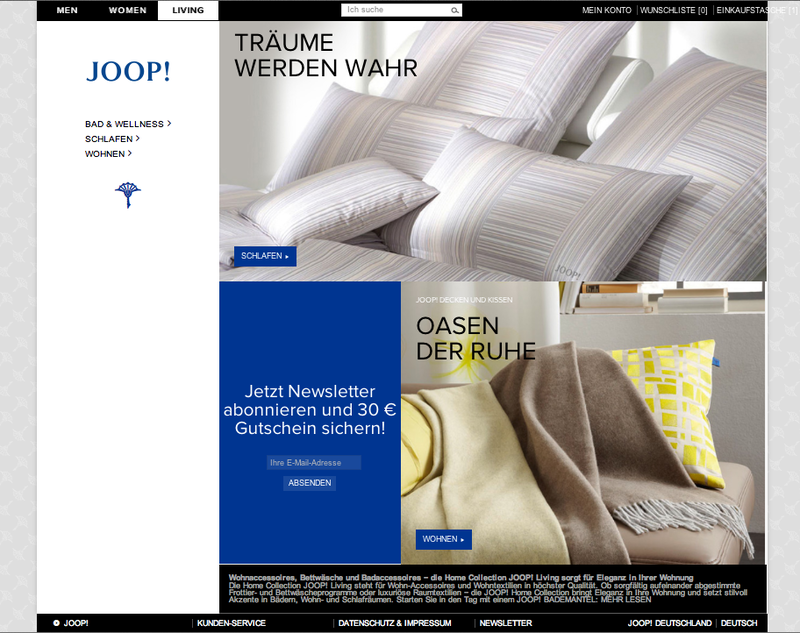 There are not many webshops that are as well done. Keep it up! 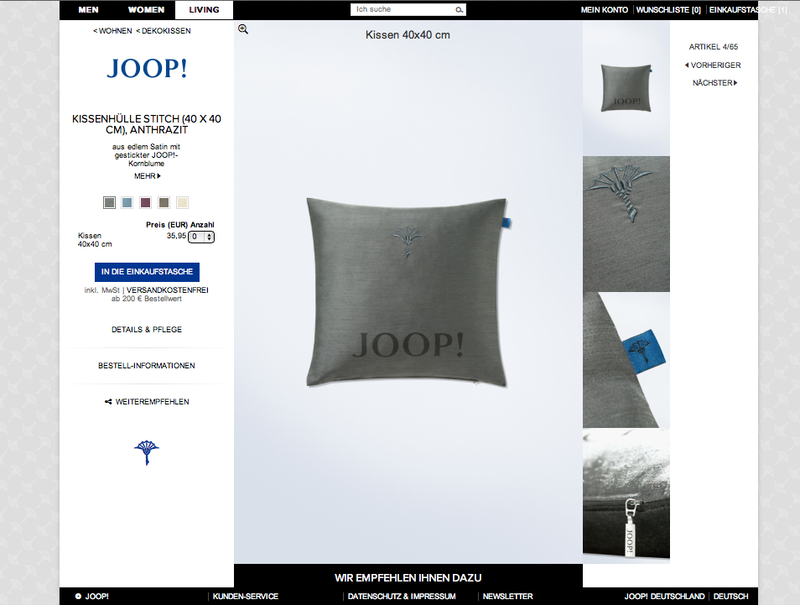 This entry was posted on October 21, 2013 by Chef de Cuisine in Home Collections, store check and tagged JOOP, JOOP! 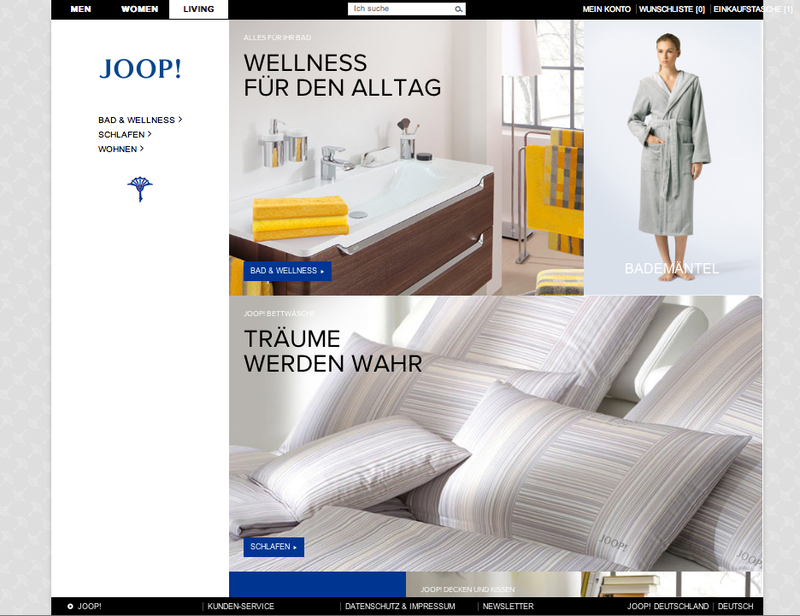 LIVING, JOOP.com, webshop.